The Casting Shadows blog’s second Serial Setting has been running once a week for just over two months, and will continue for another four, providing basic details for heroic pulp adventures for the Ubiquity Roleplaying System as presented in Hollow Earth Expedition. These ideas, set in a fictional version of the Korean peninsula in 1936, present a community oppressed by faceless enemies and their own countrymen. It will additionally suggest routes, leads, and hooks for GMs to entice groups based elsewhere in the world to get involved. 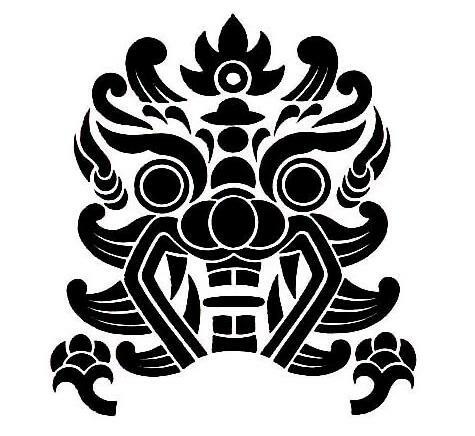 Folklore in Korea speaks of the mischievous Dokaebi (도깨비). These beings, a sort of mystical goblin prone to pranking people and providing moral lessons, are varied in description from region to region within the territory, but a few similarities persist. They are spiritual in nature having been created from the animation of natural materials, transformed from inanimate objects into supernatural creatures. They bear two tools in most tales, a cap which allows for invisibility, and a club which allows the aportation of objects (although some observers may believe this is the creation of objects). In some tales, they have but a single leg, and in many tales they have a central horn growing from their heads, but in every case, they are obviously not human. In some tales, long exposure to these beings causes humans to slowly transform to match their cunning hosts. As with many tales in the nation, the morality the Dokaebi most often enforce is one of keeping greed and prosperity in balance. In the cruel and difficult to traverse mountains to the north of Samhang a small band of resistance fighters who use the symbol of the Dokaebi as their emblem has established what is currently a secret base of operations. Located in small green pocket nestled between the shoulders of some particularly inhospitable mountains which are sided by loose rock and home to the few remaining venomous snakes and spiders on the peninsula, the valley’s entrance is a secret guarded jealously by the resistance and the only people they trust: the monks of Samgak Sa. This resistance movement is not a cell of a larger organization, and has no glorious plans to free the peninsula from the oppressor. They are skilled in mountain survival and tactical operations, but their leadership, such as it is, works on reactive principles and so, despite best intentions, has not even drawn the attention of those they oppose. Each victim they claim has been recorded as an accidental death in the treacherous terrain of the local mountains and been left mostly without serious investigation. There are two land routes into this isolated sanctuary. The first is of course to climb there. Penalties for not having the proper gear are doubled, plus due to the generally vicious nature of the climb, fatigue sets in twice as fast. There is no water to be found between the plateaus near Samhang, such as the one on which Samgak Temple resides, and the upper reaches of the mountains one must traverse to find the valley. There is little wildlife to speak of, and what little there is is typically in a foul mood. The second route is through a carefully controlled crawl through winding tunnels. Easier to traverse in the descent than ascent, the tunnels are often so narrow as to prevent spelunkers from bringing gear along apart from ropes – which are essential. Pace of travel is 1/4 the expected speed when crawling, but normal for sections where one must climb rope hand over hand for 50 or 60 foot stretches. The route is marked with subtle scratches at random intervals which must be memorized. The valley itself is small, and its walls are a nest of scrub pines, shrubs, and long weeds obscuring the shallow caves in which group members make their homes. A curiously high population of pale green butterflies can be found in the valley every spring. The tunnel route into the valley enters through one of these caves. Two guards are on duty near it around the clock. The other route stops at crevice which requires a rope bridge or other means to cross. Armed sentries watch this area around the clock as well, and will aid crossing attempts for legitimate visitors. The third and most suicidal way to enter the valley is by parachute or aerial means able to hover and land. Cross winds, wind shears, air pockets, and sentries make this an interesting proposition, but if crashing is a pilot’s specialty then they will love this place. The camp is run as a place of war, and as such maintains stockpiles of weapons, ammunition, mountain gear, and survival clothes. Food supplies are coordinated through the temple. Days are spent training and increasing fitness. Nights are spent resting and studying languages from old school text books. Students memorize vast lists of vocabulary and grammatical rules, but do not speak these languages out loud. From time to time, members are sent to Samhang or other neighboring villages to gather news, purchase special supplies, and pay respects to relatives. Financial support for the group is funneled through the temple. No one is sure why, and no one thinks to ask. They train, and they wait. The group usually operates in handmade camouflage gear which enables them to blend in with the mountain terrain as if they were wearing the famous caps of invisibility of their namesake. From time to time, however, they wear black rags which hide their faces and hang about them in sinister and obscuring fashion for more overt combat actions. In the right light, they look more like carrion birds than men. One of many businessmen tasked with working as a liaison between local companies, the military, and the homeland, Sasaki Ito has no wish for colonial ambitions to succeed. His primary reason for this is a disdain for the impure blood he sees about him in the dull, victimized faces of the occupied. He sees the full-scale annexation and assimilation of the people on the peninsula as the seed of the downfall of his noble race. He tends to ignore his own mixed ancestry and pretends that his ancestors did not open their minds and homes to learned men from these lands when their society was a brawling, fractured mess of illiterate warlords. The truth is what we believe, not what is true. His secondary and more noble reason is the simple idea that there is greater productivity when there is harmony. The force wasted on subjugating the peninsula is far greater than what would be required to work with it. Unashamed of his ties to the criminal underworld, and open to bribes and negotiation on almost any point, his position as a figure of influence and power is well-assured in this region of great unrest and little productivity. Whatever value he can squeeze out of the region, by whatever means, is welcome. The lack of oversight makes his job much easier, and allows him to do strange things like ensure there are holes in the coastal patrol schedules, prevent successful illumination of the beaches and piers, and fund terrorist groups to hide in the mountains awaiting orders. Tall, thin, with an ascetic cast to his features, his age is not easily discernible. His name, of course, is not his name. On the ring finger of his right hand he bears a simple gold signet ring. On one side of the signet is the crest of his pretend family. The other side, when exposed, is the figure of an eagle with grasping claws and a defiant cast to its features. He dresses in the latest fashions, and is extremely well read. He is comfortable in English, French, Italian, German, and Korean. He likes art, and adores women. He regrets his receding hairline, but does appreciate the added wisdom it appears to give him.